In honor of #GivingTuesday the team at Pledge It put together a top ten list of some of its best campaigns from 2018. When Houston was hit by Hurricane Harvey, the city needed help. The 2017 storm devastated the city, with the 30 percent of its homes sustaining damage, and 10 percent getting water inside their homes. By setting up his Harden Assists Houston for his 2017-18 season, the reigning NBA MVP’s 630 assists did more than lead the Rockets to the best record in the league. They helped raise nearly $70,000 to The Mayor’s Hurricane Relief Fund to rebuild the city. This past August Pledge It switched its model to a completely free platform. That meant moving forward, all the money for all the campaigns went completely to the groups and organizations the campaigns pledged to fund. The first of those was The Harvest Mile, which supported survivors of the October 1st, 2017 tragedy. All proceeds for the two-day hiking campaign, which occurred just over a year after the shooting, went to the Las Vegas Survivor Scholarship fund. Soldiers from Las Vegas hiked 58 miles, to represent the 58 lives lost. The hike started in Seven Magic Mountains, Nevada and ended on Las Vegas Boulevard. The campaign saw 45 pledgers combine to give nearly $8,000 to the Scholarship Fund. The 2018 Touchdowns Against Cancer program saw high schools across the country come together and raise over $128,000 to fight childhood cancer. The program received 1,211 pledgers, who gave an average of $106 each— all to St. Jude Children’s Research Hospital. This year’s national champion— the Lausanne Collegiate Lynx paved the way with 74 touchdowns and $21,267 raised. As the champs, they got the National Championship trophy for the school case, as well as plaques recognizing their “First-Team All-American” status, and a banner to hang in the school. In all, 24 teams raised $1,000 or more, and were recognized for their outstanding efforts. The Hundred Hole Hike took elements of our other endurance-based campaigns, but added a twist. 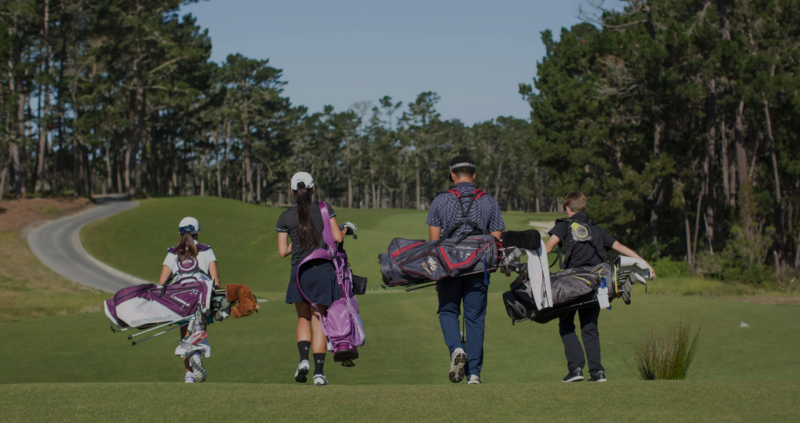 By playing 100 holes of golf (without the golf cart) the stamina challenge was definitely there, but it also piqued the interest of golfers nationwide. The funds went to Youth on Course, which provides opportunities for children 6-18 through golf. The one-day campaign raised nearly $300,000 to provide facilities across the 25 states the organization currently operates in. 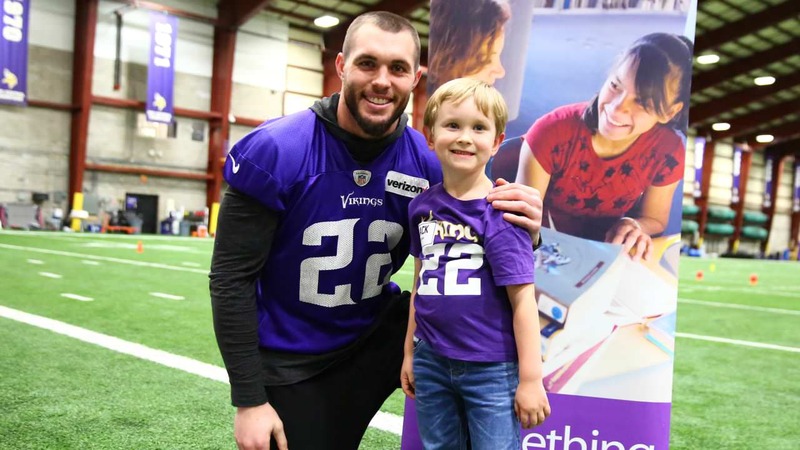 Smith is a Pledge It regular, and is back for his third year of “Big Tackles.” In his first two years combined Smith earned nearly $50,00 for Big Brothers Big Sisters Twin Cities. Now he’s in the midst of his best campaign yet, as he’s on pace for over 80 tackles and $50,000 in money raised just this season. Smith has done a fantastic job involving his pledgers. Those that give $1 per tackle receive an autographed 8X10 photo of the linebacker. Anyone who makes a $4 per-tackle donation, or a one-time gift of $500 or more get a meet and greet and autograph session with Smith. 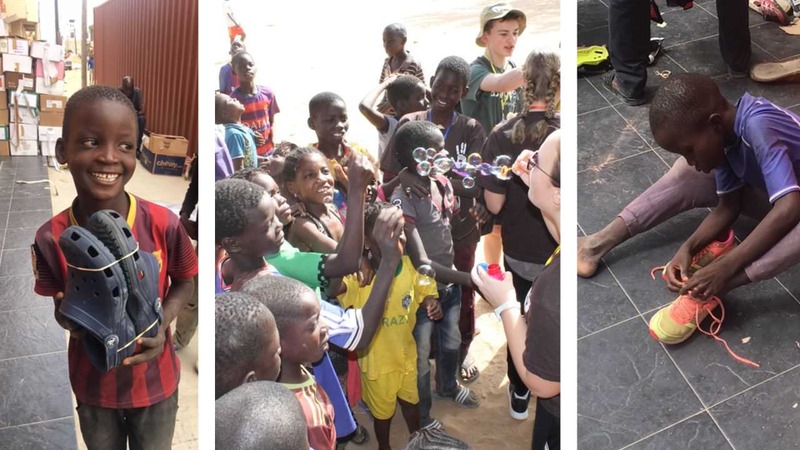 Another of the Pledge It team’s favorite campaigns from 2018, Strides for Senegal earned the “Best Use” title by raising over $16,000 to benefit underprivileged children in Senegal. During Mamaroneck High School’s most recent trip to Senegal in February of ‘18 the students were greeted by over 2,000 boys and girls from the Senegalese city of Lambaye. Some students walked over seven miles for the visit with torn up shoes through areas that had a lot of broken glass on the ground. The visitors vowed to end this and ensure each student in Lambaye had a pair of shoes the next time they came. By earning funds for running a 5K race the Mamorneck High kids shot well past their goal of $5,000 for their Senegalese counterparts. Well done! 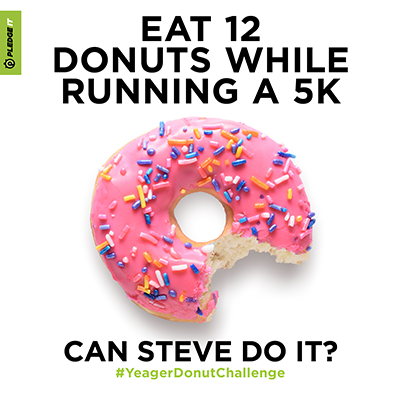 Here’s something you don’t hear every day: Eating your way through a 5K, one donut at a time. Welcome to the Troy L Atkinson Memorial Foundation Donut Challenge. Battle Born Injury Lawyer Steve Yeager consumed 13 donuts to benefit the Nevada Childhood Cancer Foundation. The campaign, named after Battle Born’s founder, saw Yeager consume 13 doughnuts. He had to dig deep, as he exceeded his goal of 12 doughnuts, which in turn saw the Donut Challenge exceed the goal of $25,00 raised. 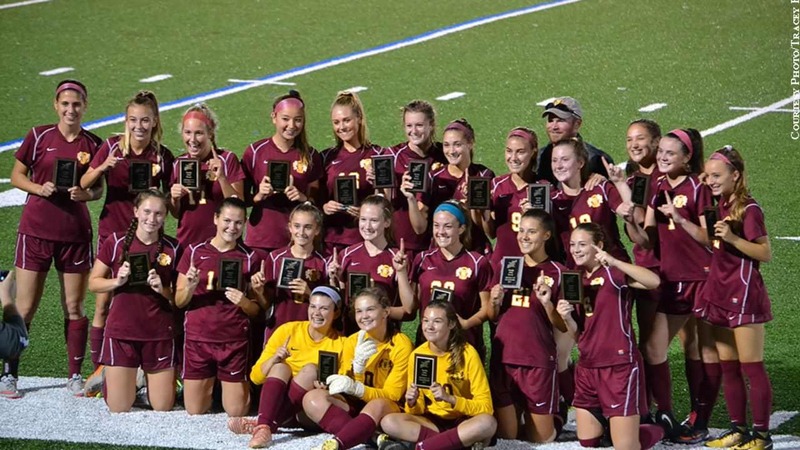 The Hereford Girls Soccer Goals for Greatness used its campaign to both support its own team, as well as Hereford’s athletic programs as a whole. The girls at Hereford empowered themselves to keep playing the sport they love with top equipment, through this performance-based fundraiser. On the field, the funds benefited the team as they defended their status as both the 2017 Baltimore County and 2A North Regional Champs. The girls came up just short, losing in the final four. But the $11,346 raised made them big winners where it mattered. Professional golfer Bryson DeChambeau’s father Jon battled diabetes for 28 years. The fight ultimately culminated in kidney failure. But on March 8th of last year, Jon received the ultimate gift— a kidney donation from an old high school friend. Bryson’s personal experience led him to create Bryson's Birdies. He personally donated $250 per each birdie he hit, and $500 per eagle made on the PGA Tour. 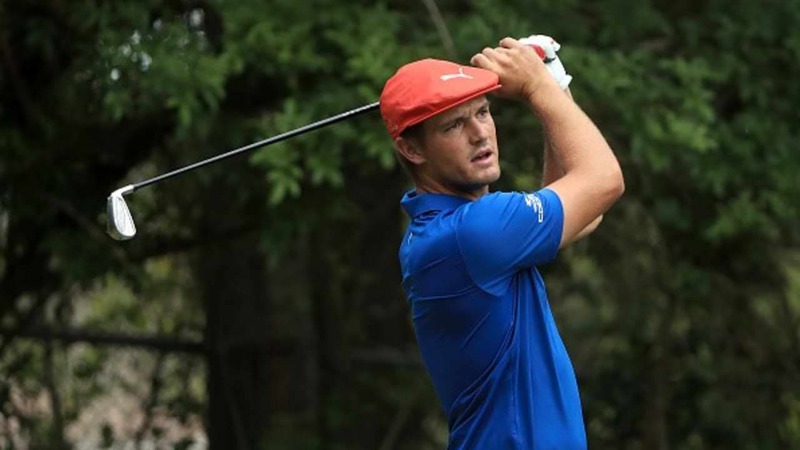 Together with nine other pledgers and some generous offline donations, the younger DeChambeau earned over $16,000 for the National Kidney foundation. Perhaps inspired by his mission, Bryson hit a whopping 23 birdies and raised over six thousand dollars at RBC Heritage in Hilton Head, SC alone. Starting at 6:30AM the taco enthusiasts started at their first Taqueria. 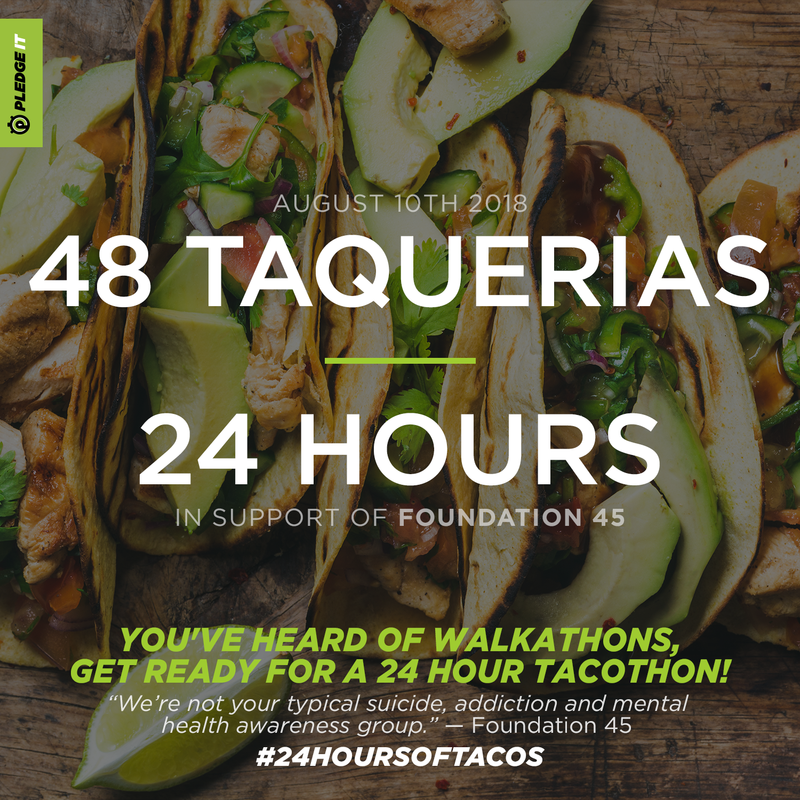 Pledgers funded this campaign based on Taquerias visited throughout the the 24-hr drive; 48 in total, or one for every half an hour. The result was over $12,000 raised for Foundation 45. The funds earned will go to the free counseling service, and to help break the stigma related to suicide and mental health.